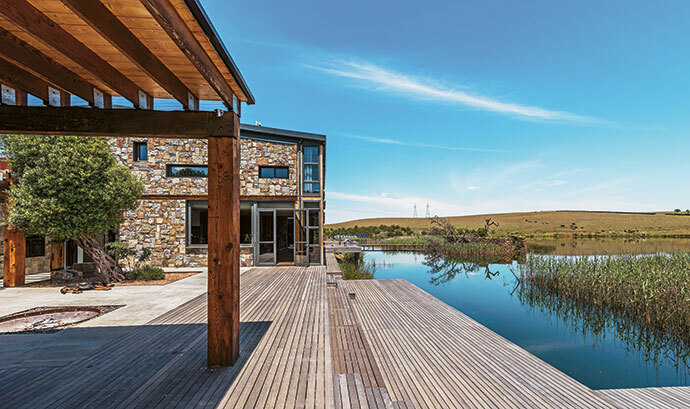 It took the owners of a KwaZulu-Natal farm 10 years to collect the reclaimed timber and stone ultimately used to build their dream home. “Make the most of the site and allow ample space to comfortably accommodate an extended family.” This was a key take-out from the brief received by Koop Design from our client. 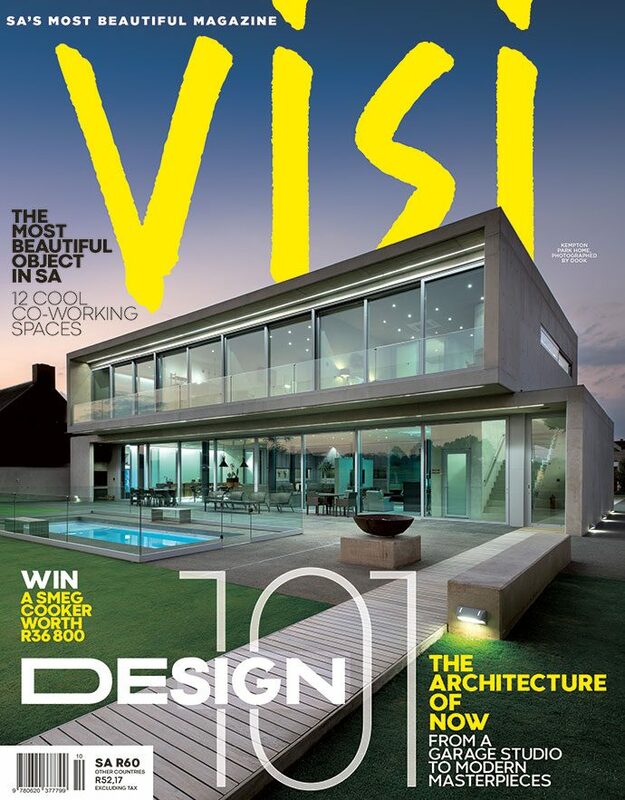 As an architect, I try not to force a project into a predetermined aesthetic. We research the site, environment, function, available material and human capacity. We try our best to design a response that considers these aspects and trust ourselves to get it to look good. A concept is not a look; it is an idea that strings all the outcomes of the research together into a neat set of responses that – with as few gestures as possible – informs the design at every level, from master planning to material choices. It is the language of the building. When I met the couple, they had decided where the house was to be situated. They had thought very carefully about how they wanted to live on the property, and the location of the dwelling was not negotiable. But they were also very open-minded and willing to get their hands dirty. We agreed to cut a platform next to the lake and position the house right on the edge of the water. That Midlands soil is like marshmallow – all clay and decomposed dolomite – so crazy cantilevers were out of the question. The excavated soil exposed lots of enormous rocks, which we used to build a dry-stone retaining wall. The wall was neatly stepped in one part to create a treelined landscaped platform. 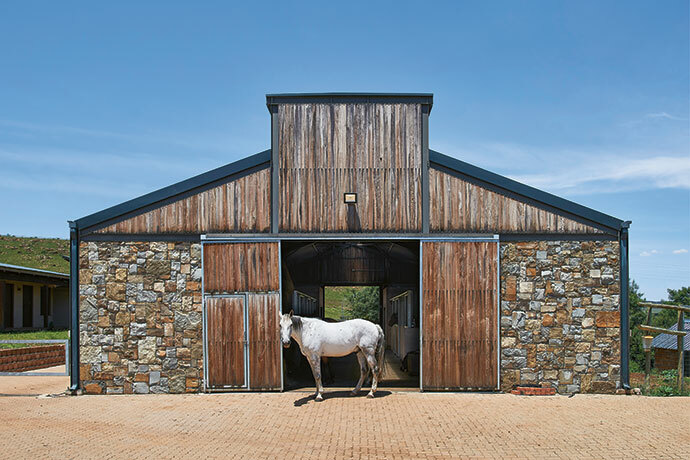 The couple had been stockpiling stone from old farm buildings, and they had a shedful of reclaimed yellowwood and Oregon pine. This wood was not enough, however. 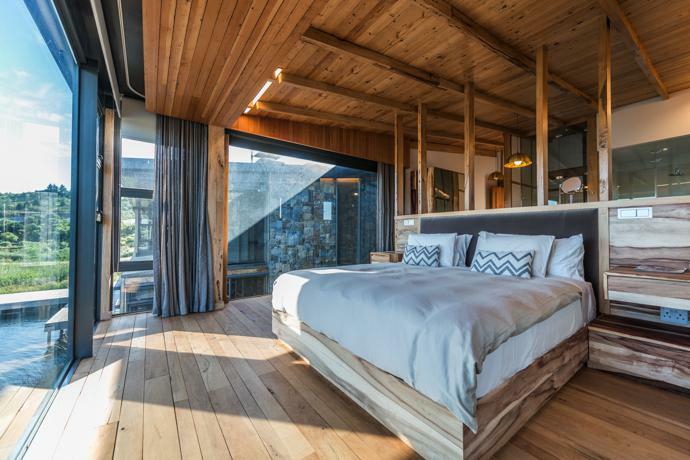 Timber for the flooring, doors and furniture was sourced from indigenous hardwood forests that were earmarked for clearing, the wood destined to be burnt, by a dune-mining operation on the KwaZulu-Natal North Coast. 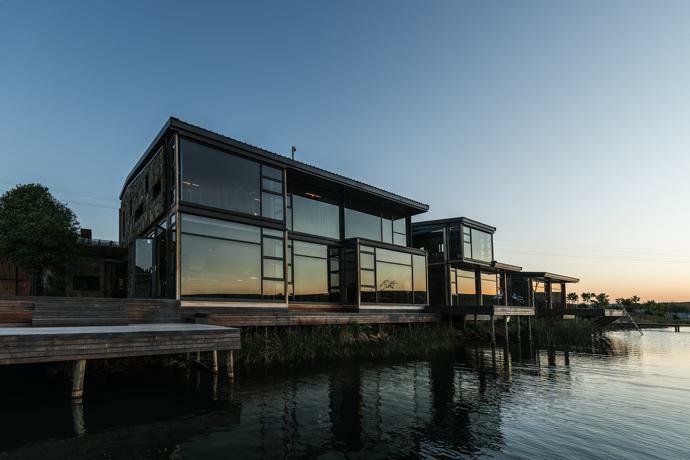 The house is conceived as a series of layers that run parallel to the water’s edge from landside to waterside. 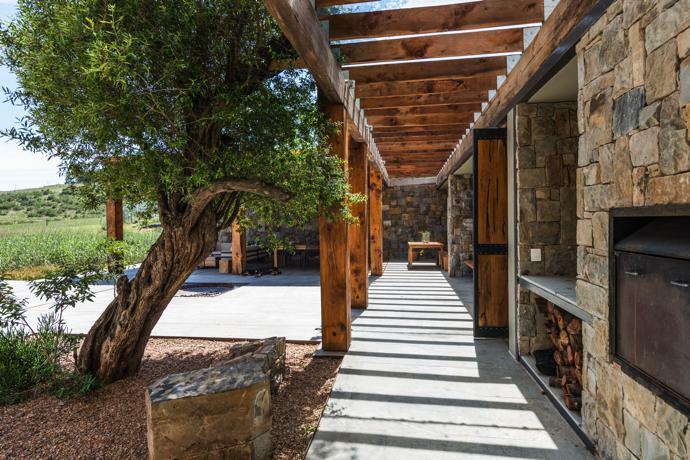 Entering from an external courtyard, a wide gallery stretches the length of the house on both levels. 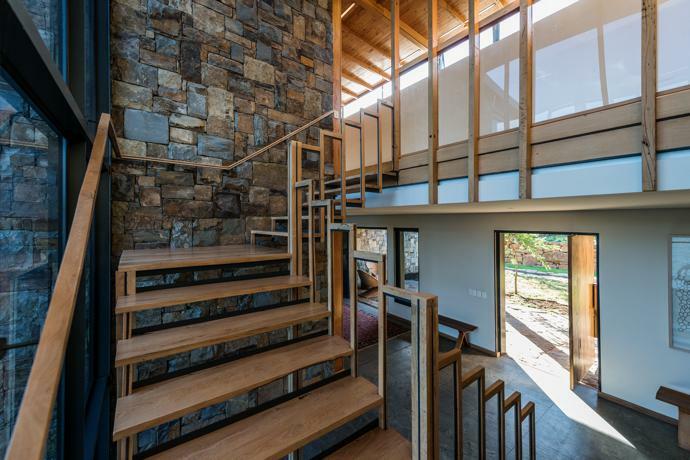 The stone floor is honed smooth and the timber frames of the internal walls are exposed polished yellowwood. 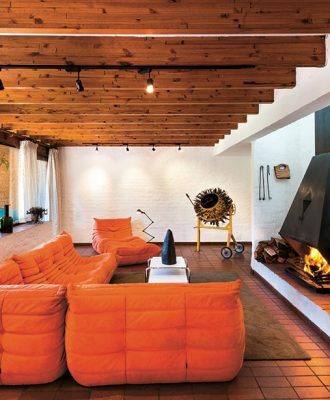 Timber, stone and painted plaster were used for the walls, and the ceiling beams are made of recycled Oregon pine and yellowwood. 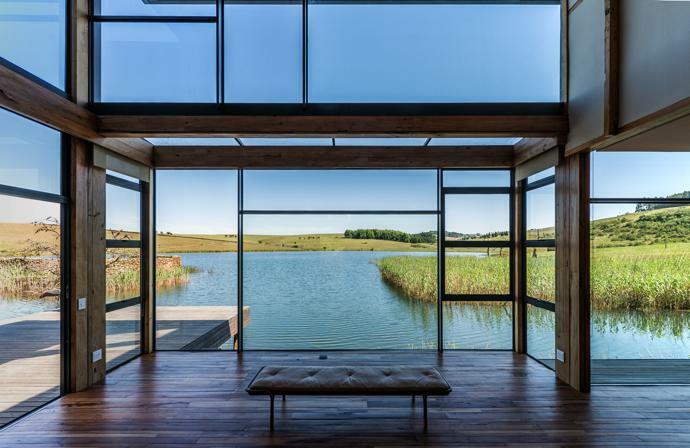 The rooms all overlook the lake. 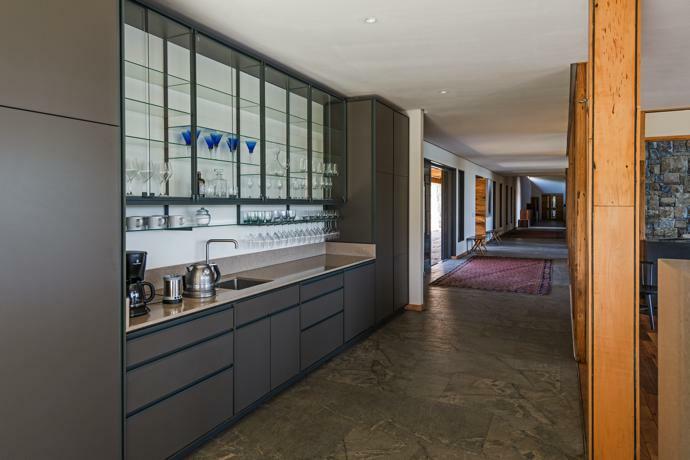 Finishes are refined as you get deeper into the house, from rough-hewn stone and timber on the outside to finely polished interior surfaces. 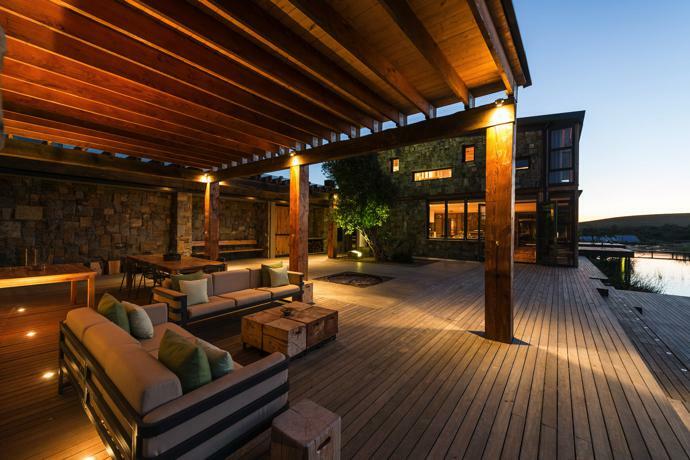 Semi-courtyards – outdoor living areas considered rooms as much as the indoor spaces – separate the living, working and sleeping areas on the ground floor. 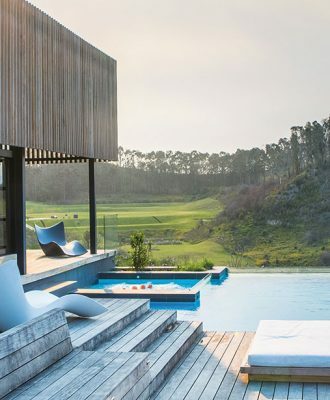 By containing these outdoor spaces between natural elements and architecture, the vast expanse of the landscape is tamed around the house. The project was not a conventional build. A small core team led the process and were assisted by teams of contractors and craftspeople who dipped in and out as needed. 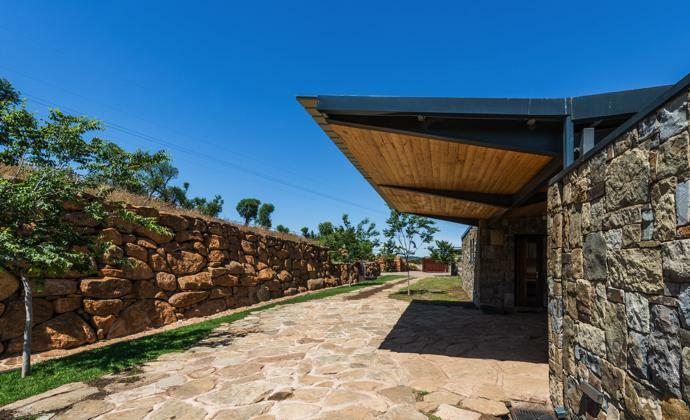 There was a sense of ancient tradition on the site at times, with artisans living on the property and working on the project, making furniture, honing stone, panelling walls, and installing floors, ceilings and partitions. 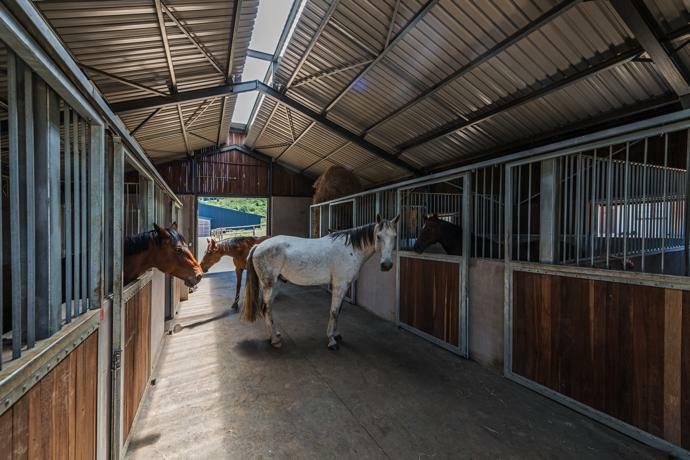 The stables were built at the same time as the house, and the landscaping was done in parallel. 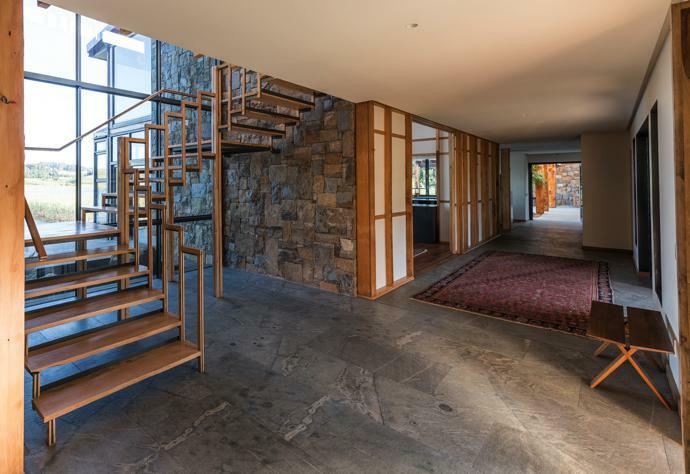 The finishing touches to the house coincided with the finishing touches to the landscaping and suddenly, as though you could squeeze four long years into a moment, The Lake House was there before us. 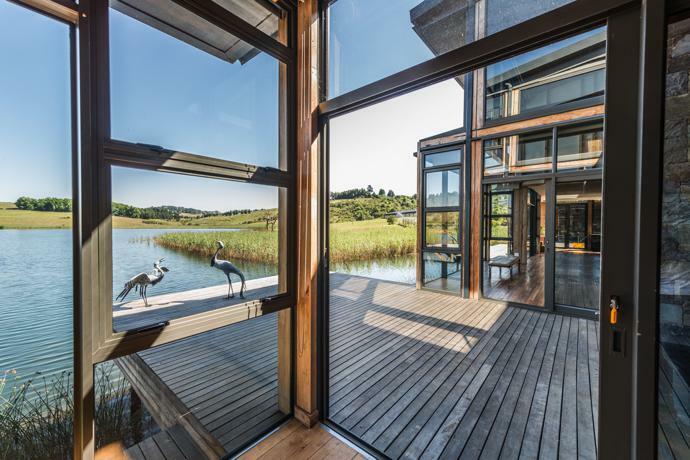 The Lake House received an Award For Excellence at the 2018 Corobrik SAIA Architectural Awards event. 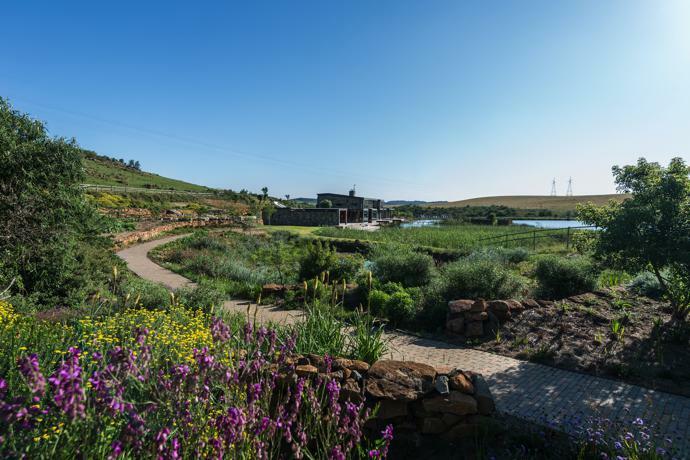 It is one of the only six recipients of this biennial award presented by Corobrik and the South African Institute of Architects.